Helps prevent and remove hairballs in cats and kittens. 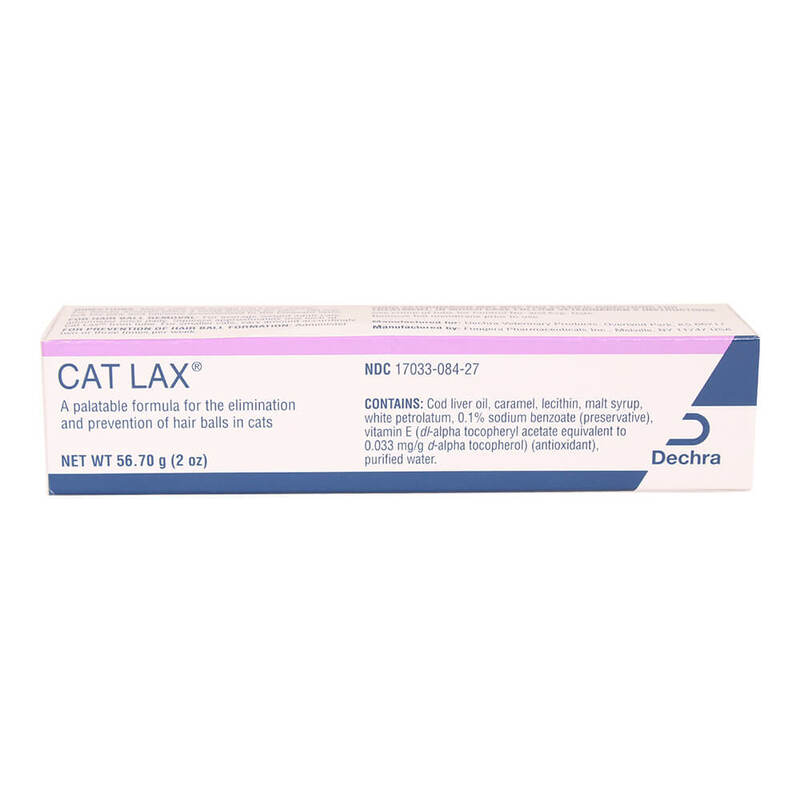 Indications: A palatable formula for the elimination and prevention of hair balls in cats. Directions: Many cats will accept Cat Lax® readily. For finicky animals place a small amount on paw - cat will lick his paw and become accustomed to the pleasant taste. For Hair Ball Removal: For average weight adult cats administer once daily. Squeeze approximately one inch of Cat Lax® from tube. For smaller cats vary amount accordingly. Your veterinarian may give specific directions for treatment in which case follow veterinarian's instructions.